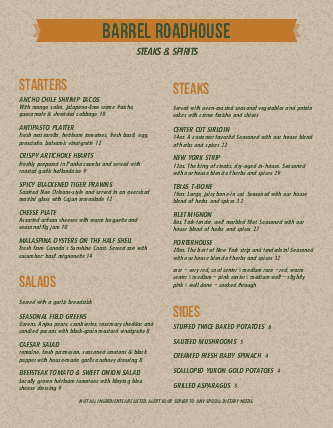 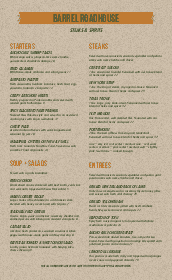 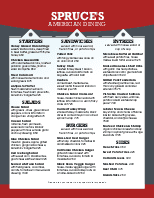 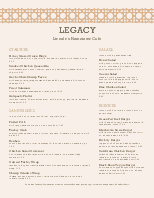 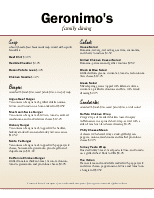 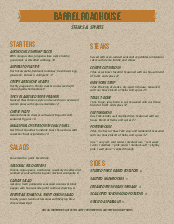 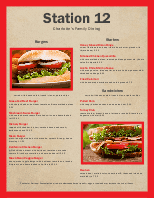 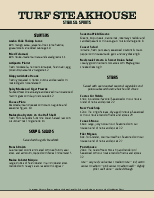 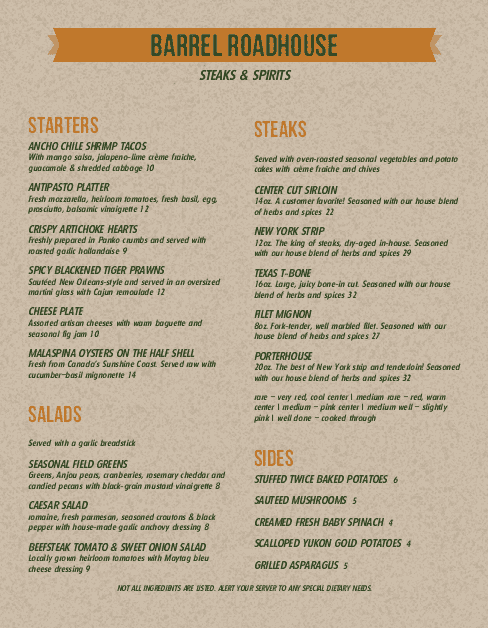 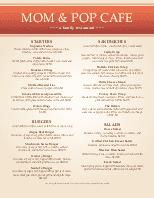 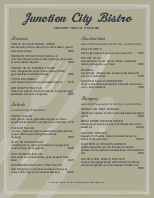 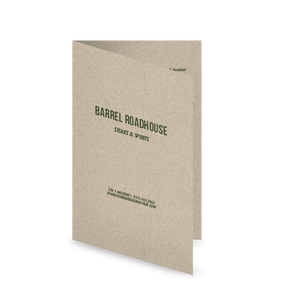 A Roadhouse Menu template for a casual restaurant or bar. 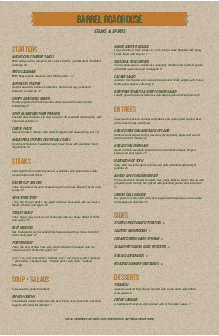 The textured brown background has a friendly tone, with warm yellow and green fonts to showcase pub food or drinks. 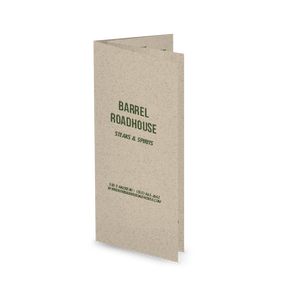 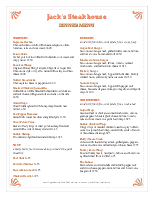 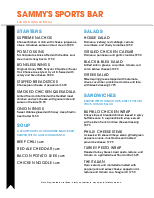 Select your paper size, layout, fonts and more to customize this roadhouse menu for your restaurant.